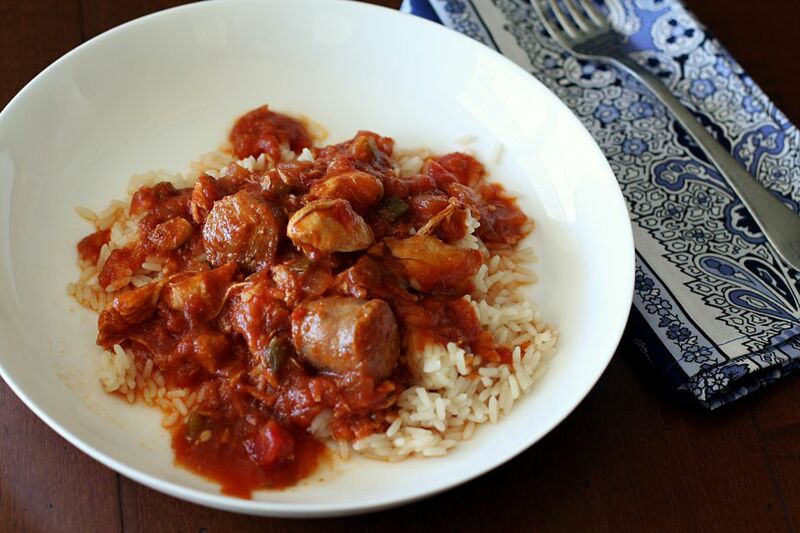 Boneless chicken thighs and spicy andouille sausage slow cooked to perfection in a deliciously seasoned tomato sauce. This chicken recipe is easy to put together with no advance cooking needed. Just cover the slow cooker and plug it in. Serve this flavorful chicken over hot cooked rice for a fabulous meal any night of the week. In a slow cooker, combine the chicken thigh pieces, andouille sausage pieces, chopped onions, broth or water, tomatoes (with their juices), tomato paste, Creole seasoning, and cayenne pepper. Cover and cook the chicken and sausage mixture on LOW for 6 to 7 hours. Add chopped green bell pepper about an hour before the dish is done. Serve this flavorful chicken and sausage dish over hot boiled rice, spaghetti or angel hair pasta.